This ticket allows general access to Lisb-ON Jardim Sonoro for 3 days from Friday 6th-Sunday 8th September 2019, 14:00-23:00. Purchase your Friday Ticket to access the Lisb-On Festival on Friday, 6th of September. Purchase your Saturday Ticket to access the Lisb-On festival on Saturday,7th of September! Purchase your Sunday Ticket to access Lisb-On Festival on Sunday, 8th of September! Lisboa Camping is situated five minutes from the Passeio Marítimo de Algés and is a four-star camping ground (highest in Portugal). The campsite is equipped with a restaurant, swimming pool, tennis court and amazing environment atmosphere in the heart of the city. 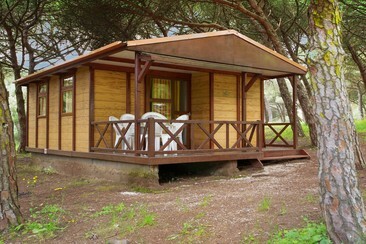 Spanning over 380.000 m2, this campsite can hosts up to 1800 guests in bungalows and comfortable pitches. A camping spot for one person at the Lisboa Camping Grounds. Please note: Each person requires a Festival ticket! Lisboa Camping is situated five minutes from the Passeio Marítimo de Algés and is a four-star camping ground (highest in Portugal). The campsite is equipped with a restaurant, swimming pool, tennis court and amazing environment atmosphere in the heart of the city. 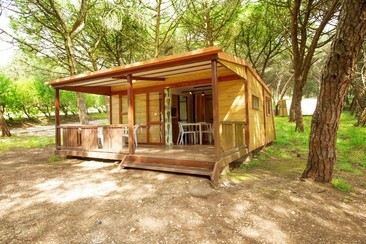 Spanning over 380.000 m2, this campsite can hosts up to 1800 guests in bungalows and comfortable pitches. The Esquilo Bungalow sleeps 2 - 4 people and is fully equipped with a bathroom (shower), kitchen and dishes, beds, bedding, bath linen and a TV. Lisboa Camping is situated five minutes from the Passeio Marítimo de Algés and is a four-star camping ground (highest in Portugal). The campsite is equipped with a restaurant, swimming pool, tennis court and amazing environment atmosphere in the heart of the city. Spanning over 380.000 m2, this campsite can hosts up to 1800 guests in bungalows and comfortable pitches. The Monsanto Bungalow sleeps up to five people and is fully equipped with a bathroom (shower), kitchen and dishes. Beds, bedding and bath linen is provided. Other amenities include a balcony, heating, a TV with cable-channels, a telephone, a fridge and a microwave. Lisboa Camping is situated five minutes from the Passeio Marítimo de Algés and is a four-star camping ground (highest in Portugal). The campsite is equipped with a restaurant, swimming pool, tennis court and amazing environment atmosphere in the heart of the city. 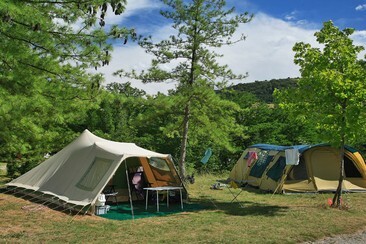 Spanning over 380.000 m2, this campsite can hosts up to 1800 guests in bungalows and comfortable pitches. 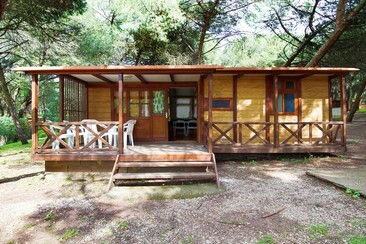 The Lisboa Bungalow sleeps up to 6 people in rooms equipped with double beds and/or bunk bed and a double bed. The bungalow is fully equipped with bathroom (shower), kitchen and dishes. Beds, bed linen and bath linen is provided. Other amenities include a balcony, heating, a TV with cable-channels, a telephone, a fridge and a microwave. 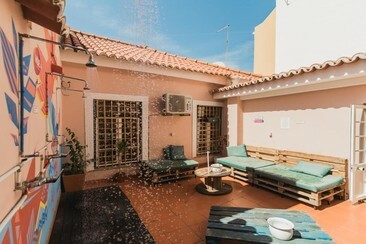 Terrace Lisbon Hostel is in Lisbon, just a 3-minute walk from the Jerónimos Monastery and the famous Pastéis de Belém custard tarts pastry shop. The Belém Train Station is just a 10-minute walk from the property. 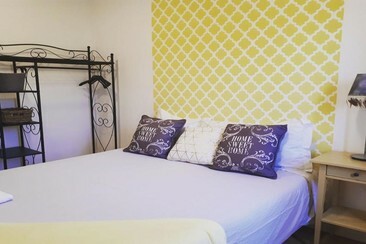 Featuring free WiFi throughout, Terrace Lisbon Hostel offers dormitories with bunk beds, plus double and twin rooms for guests wishing to have more privacy. Guests have access to shared bathroom facilities, a shared lounge and a garden with an urban art touch. Guests are welcome to prepare their meals at the shared kitchen equipped with most modern appliances. In addition guests can visit the various restaurants within walking distance of the Hostel, serving traditional Portuguese cuisine. 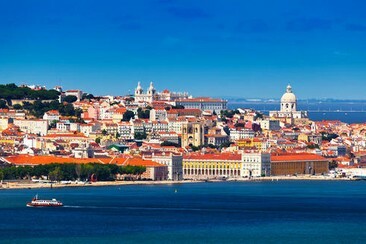 The Baixa Pombalina downtown area and the very centre of Lisbon is easily accessible by a 20-minute train journey. In the vicinity, within 50 metres, guests will find some of the most charismatic landmarks of Lisbon including the Belém Tower, Padrão dos Descobrimentos Monument and the Belém Cultural Centre. Lisbon Portela Airport is 8.1 miles away. Lisbon Dreams Guesthouse is just 400 m from the famous Liberty Avenue, a 3-minute walk from the nearest metro station, 4 km from the Jardim Zoológico de Lisboa. and a 25-minute bus ride from Lisbon Airport. All rooms are fitted with wooden floors including free Wi-Fi access, minibar and shared bathroom with shower, toilet, shampoo-gel & tiny hand towels. There's also a shared kitchen, as well as 2 lounges, a library and a 24/7 reception. Guests can also relax in the Dreams’ TV lounge decorated with light colours. HUB Lisbon Patio Hostel is located near Marquês de Pombal and Avenida da Liberdade. It is in a newly remodelled building with an amazing outdoor area where travellers can relax in an oversized hammock, watch movies or have a barbecue. Lisbon Casino is 6km from Hub Lisbon Patio Hostel, while Lisbon Oceanarium is 6km from the property. Lisbon Humberto Delgado Airport is 5km away. The rooms at this hostel provide guests with a city views. Guests can enjoy a complimentary breakfast each morning. Public areas are equipped with complimentary wireless Internet access. The hostel has designated areas for smoking. Hub New Lisbon Hostel is in an 18th Century building with a vibrant design, maintaining the original Portuguese tiles mixed with vintage elements. 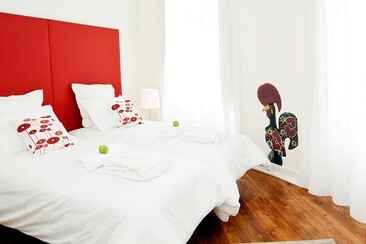 The hostel has a central location between Bairro Alto and Príncipe Real, in the centre of the city. It's just a 5-minute walk from lively Bairro Alto’s bars and restaurants. The hostel features accommodation in private double rooms and dormitories. 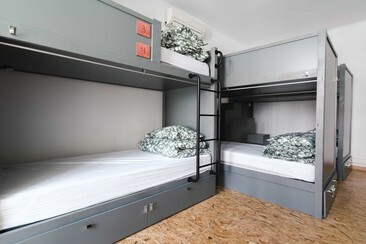 The dormitories are divided into mixed and gender-specific rooms. 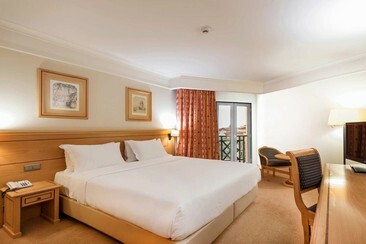 Some of the rooms feature panoramic river views. After a day of sightseeing, the interior patio with sofas and showers is the perfect scenario for a relaxing break. The games room includes a foosball table. Hotel Real Palacio is located in the centre of Lisbon, close to Parque Eduardo VII and less than 5 minutes walking from El Corte Ingles shopping centre, a 4-minute walk from the nearest metro station. Luxury amenities include sauna, hot tub, exercise room, plus treatment and massage rooms. There's also a polished restaurant/bar with a terrace. The 5-star Hotel offers a total of 147 rooms with classical and contemporary styles. The bright, spacious rooms have free WiFi and satellite TV, minibars and private bathroom. Some have terraces or balconies, and rooms in the old section feature high ceilings and elegant decor. 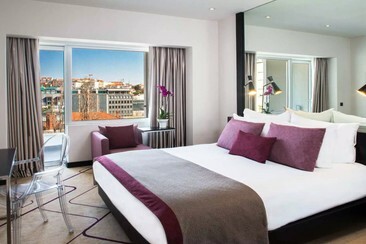 The AVANI Avenida Liberdade is centrally located in Lisbon. 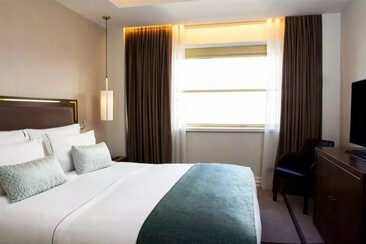 This 4-star hotel is 100 m from the Avenida metro station and a 10-minute walk from Rossio and the Pombaline Downtown. Guests have free access to Tivoli Avenida Liberdade's outdoor pool. AVANI Avenida Liberdade is just a 10-minute walk from the D. Maria II National Theatre and the Recreios Coliseum. All rooms are designed with your total comfort and peace of mind. Air-conditioned rooms are equipped with a flat-screen TV, a minibar, a coffee machine and a desk. A breakfast buffet is served every morning. Guests also may enjoy a varied menu at the on-site restaurant and are welcome to visit the sky bar at the sister hotel Tivoli Avenida Liberdade. The trendy Bairro Alto neighbourhood is 850 m away. A variety of restaurants serving traditional Portuguese and international cuisine may be found within walking distance. The hotel features a private parking on site. Tivoli Avenida Liberdade Lisboa, the Grande Dame of hotels in central Lisbon, Portugal is a true landmark which delivers exceptional hospitality since 1933. The hotel's unique swimming pool is amidst the fronds of its semi-tropical garden. Guests can enjoy a massage at the Anantara Spa. Avenida Metro Station is 150 m away. Guests can reach the Baixa-Chiado station with a 2-stop ride on the Blue Metro Line. Guests can discover the wealth and variety of rooms and views at the luxury hotel in Lisbon - from Deluxe Rooms to the stunning Presidential Suite, which make each stay an unforgettable experience. The rooms are outfitted for urban luxury, from elegant furnishings to spacious layouts. Relax with essential modern amenities, most importantly a comfy bed dressed in the softest. The top-floor restaurant offers international cuisine, a wine list with over 300 selections, and panoramic views. The restaurant Cervejaria Liberdade features a menu with fish and seafood specialities from the coast of Portugal as well as typical meat snacks and pastries. Cobbled lanes, centuries-old houses, hole-in-the-wall restaurants and famous landmarks await you on this 2.5-hour walking tour of Lisbon’s enigmatic Alfama neighborhood. Explore the hilly district with a professional guide and revel in the village atmosphere as you wander down Alfama’s steep streets. See Lisbon Cathedral (Sé de Lisboa), George’s Castle (Castelo de Sao Jorge) and other notable sights; learn about ‘fado’ (folk music); and take in incredible views of Lisbon and the Tagus River from a local viewpoint. 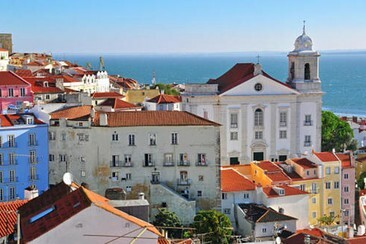 - 2.5-hour walking tour around Lisbon’s Alfama neighborhood - Soak up the old-world ambience of this traditional Moorish district - Watch locals pottering along the cluster of close-knit streets and hawking food from streetside stalls - See important attractions including St George’s Castle and the Lisbon Cathedral - Reach the Miradouro da Senhora do Monte viewpoint, one of the best vantage points in the city - Learn about the origins and heritage of Fado music from a local guide. 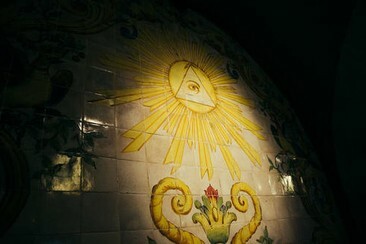 Discover one of three Illuminati cities, get to know secrets of Lisbon, learn history of it together! - Decode the Illuminati architecture downtown the city - Enter the masonic museum - place reserved for masons only! - Experience beautiful sightseeing with a local insights. - Let me present you a real-life passion of mine! Enjoy yoga on one of Lisbon's great rooftop terraces. Yoga at Garden Rooftop by Imperium has one of the most beautiful views over the rooftops of Lisbon and the River Tejo. Lisb-ON Jardim Sonoro is an intimate electronic music festival held in the heart of Portugal's capital. Amidst the lush greenery of the Parque Edoardo VII, the festival plays host to an array of generation-spanning DJs and performers, predominantly from the world of underground house and techno. Across three days in late summer, the festival offers up an inviting, inclusive and enchanting environment in which to party with like-minded music lovers and a selection of the scene's finest proponents. Parque Eduardo VII is a large public park in the Portuguese capital, named after the British king who visited the city in 1902.